Now VeriFone's best-selling PINpad 1000SE is an even more versatile solution for a variety of payment environments. 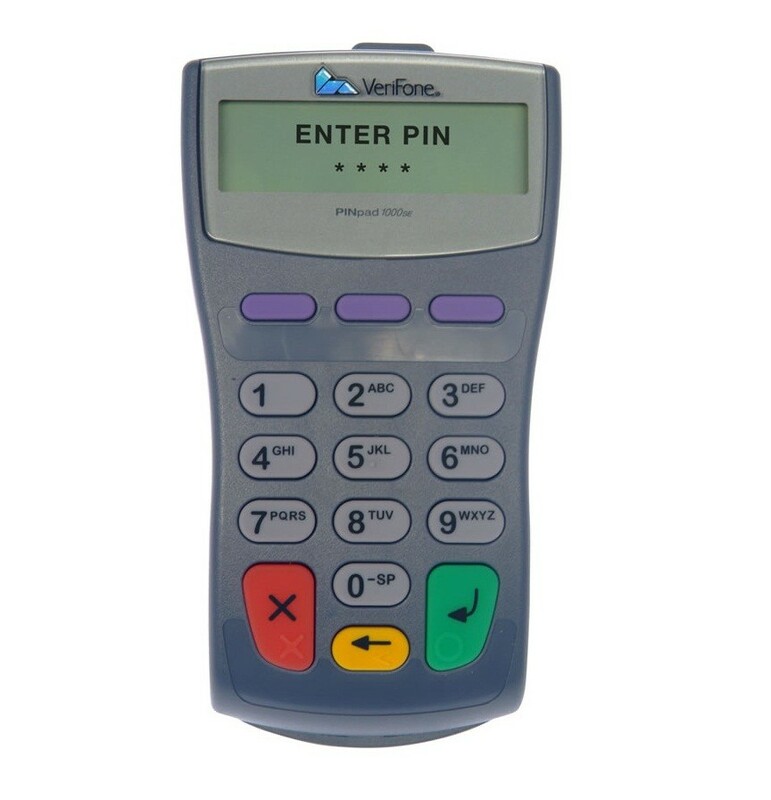 With a revamped ergonomic design, the PINpad 1000SE combines two complete peripheral solutions, built-in contactless technology for payments at the wave of a hand and a reliable PINpad for secure PIN-based transactions, into one powerful handheld product. 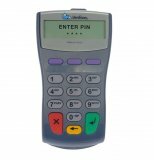 With the speed and ease of use you expect from a durable and attractive PIN pad, the PINpad 1000SE is a cost-effective and future-proof payments solution, and it's the ideal drop-in replacement for a previous PIN-based device. With backwards compatibility to previous PINpad 1000SE or NURIT 222 devices, it minimizes application rework and transitions merchants to the newest PIN security standard, PCI PED. A larger display offers graphic capabilities to support multiple languages, while the palmshaped grip makes the unit easier to hold. The oversized keys minimize entry errors and speed up the payment process. Function keys can be programmed as "hot" keys for special tasks.